One thing that plagues us as printers of apparel is those pesky seams. When the squeegee passes over a seam, it disrupts the constant and even pressure it applies. The resulting print will be uneven in the area immediately surrounding that seam. All-over printing does encompass the entire surface area of a shirt, however, the are three different approaches a printer might take based on the desired print and style of art. Each approach varies in complexity and price, so please be sure to consult with a sales insider before you finalize your design. Heat-Transferred or Sewn on Tags? 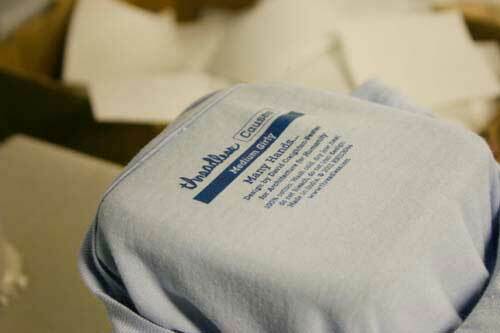 Aside from being wearable, one of the most common characteristics of apparel is the inside tag. So common in fact, that most people probably don’t think twice about where or how that tag got there. Unlike my gut instinct may have led me to believe, tags do not grow on shirts. Nope, there is actually some labor involved and it all begins with you and/or the designer. Start by creating a customized design for your organization’s t-shirts. This can be anything from a company branded logo, or a logo you create yourself to represent the organization. There are three main techniques that can be used when printing your personalized logo for your t-shirts: screen printing, embroidery or digital. Beyond these main capabilities, there are a few other ways that a logo can be customized, such as dye sublimation, heat press, vinyl transfer, and more. Talking with a professional screen printer about the best way to place your design on your custom t-shirts to effectively represent your organization will ensure the best possible outcome. 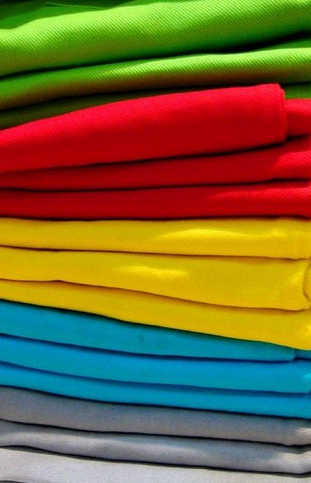 Use color to personalize your t-shirts. Creating custom t-shirts that represent the same color can be a great way to show unity that portrays a custom look for your organization. Selecting one material will also help make a unified look. An example might be t-shirts that are collared polo style or traditional cotton. 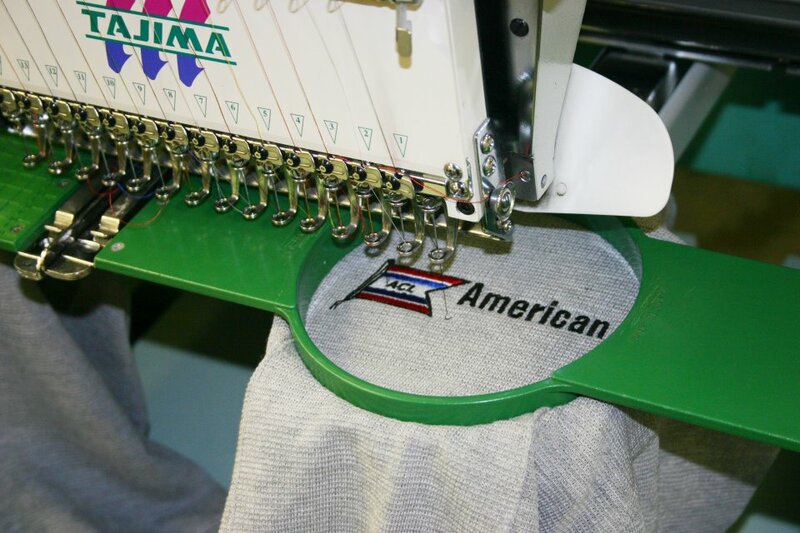 Give each shirt its own special touch by embroidering team member or employee names on the front of the shirt. Embroidery looks great. 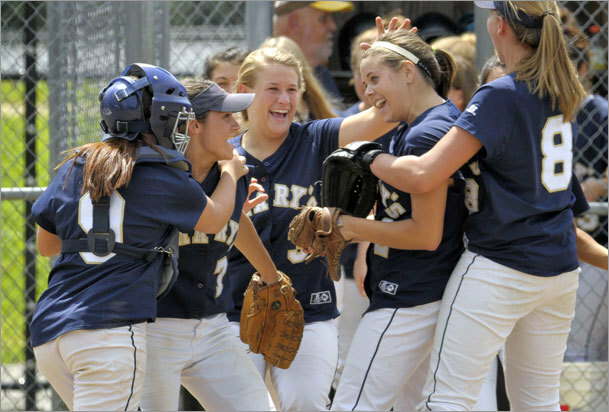 It can make every member of the organization feel special when adding the use of his or her own personalization. Since the shirts will likely look similar, adding a little personalization can boost each person's morale and make the customization a bit more one of a kind. Come up with a catchy slogan for your organization that is unique and memorable. Then have it screen printed on the back of your organization’s t-shirts for a nice personalization effect. If attending an event, add the date so you will always remember the experience when you wore your custom t-shirt. If your organization is creating custom shirts for a company softball team, add the year to either the side of the shirt. Having shirts from every year to look back on will give you brief nostalgia, and a memento of that event - whether it's a 5K run for breast cancer, a company picnic, or a fundraiser. Consider artwork. Is simply having a logo enough? Or do you want to take the customization of the artwork a step further? Creating a customized image just for this shirt is a great way to personalize the shirt for your organization. 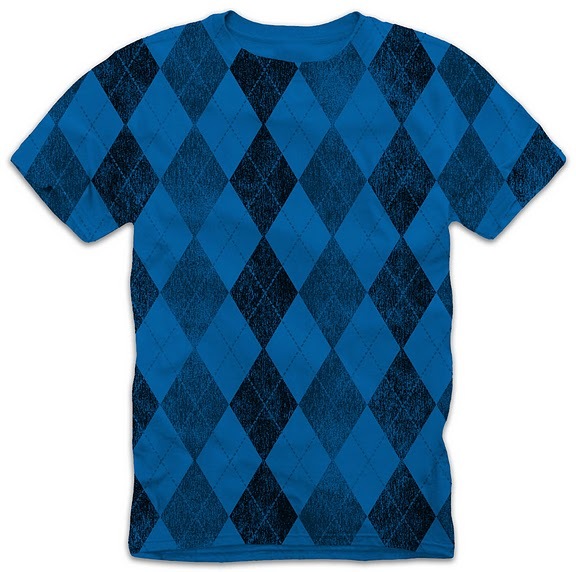 Consider using digital imaging to add a crisp and clean design to the shirt. Go a step further and have someone in your art department or a creative co-worker come up with some design ideas. If the shirt is for a special event, design a special image around that event - such as a Christmas fundraiser. Use your imagination to create a one of a kind custom image for your t-shirts. Use your organization’s mantra and add a personal message to your custom t-shirts. Did you know you could add personal signatures? Part of the custom t-shirts design can include personalized signatures from team members, quotes that pertain to the event, or even handwritten style messages from the organization. This can add a unique and neat touch that will go a long way. 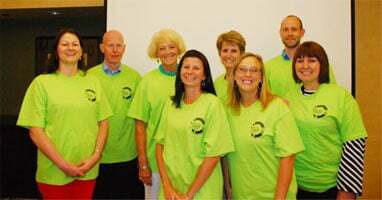 There are many ways to get creative with custom t-shirts for your organization. Whether it’s for a special event or promotional purposes, creating a unique custom t-shirt can be a lot of fun and a great way to get all the team members involved. Allowing everyone to brainstorm their own ideas, and/or having contests to decide which slogans to use will make this entire process easy and entertaining! Contact an apparel expert today to discuss customization options for your organization’s personalized t-shirts today. 1. Purpose. Is this a giveaway shirt to promote your business? Will the tee be worn by employees as a uniform? Will the tees be sold as retail items? The purpose of the garment is a determining factor for a number decisions down the line including garment and how much you want to spend. 2. Audience. Will men, women, or both be wearing these shirts? Are they under 18? Over 40? The demographic of the person wearing the shirt will influence decisions from the type of art to the color of the t-shirt. 3. Image. What image should the t-shirt convey? Contemporary and clean? Wild and fun? The superficial message communicated by the t-shirt should represent your business and the kind of products you offer. 4. Brand. How and how much of your specific brand should be represented on the t-shirt? The size and placement of your brand identity depends on the amount of name recognition appropriate for the goal of the garment. 5. Garment. Is durability your number one concern for the custom t-shirts? Perhaps sustainability is your number one priority. Selecting a fabric is the foundation of the actual t-shirt printing process. 6. Timeline. Is the t-shirt for a specific event? Is that event less than a week away? Some print processes take longer than others and may need more lead time. This is an important factor when considering a custom t-shirt order for your business. 7. Quality. Will these shirts be worn in situations involving a lot of wear and tear? Will the printed tees be washed frequently? Some weaves are stronger than others and this is definitely a factor you will want to consider. 8. Art. Are you an artist? Do you have an artist to work with? Perhaps simple typesetting is all you need to have done. Each shop will have some guidelines for art submission. 9. Cost. Do you have only a small allotment for your printed t-shirts or is the sky the limit? Each step of having t-shirts printed will have a good, better, and best option. 10. Repeat. Is this a one-time special order or do you envision ordering more of the same or similar tees in the future? In most instances you can save money by ordering larger quanties. A little pre-planning can help you save a lot of money! Whew! Seem like a lot of factors to consider? Get in touch with a customer service rep right away to help simplify the process and make it easy to get the perfect t-shirts printed for your business. Yay for summer! Lots of fun things to do and I'd even venture to say everything is a little more fun when you get a t-shirt to go with it! Whether it's a shirt to commemorate a company picnic or team shirts to support a friend running a race, it's likely you will think "we should have some shirts made," at some point this summer. The t-shirts can be funny, cool, sporty, and as elaborate or simple as you like depending on the occassion. Ordering t-shirts with a unique graphic is really pretty simple, but if you've never done it before, you might not know where to start. Before you call up your local print shop, there are some things you might want to consider.